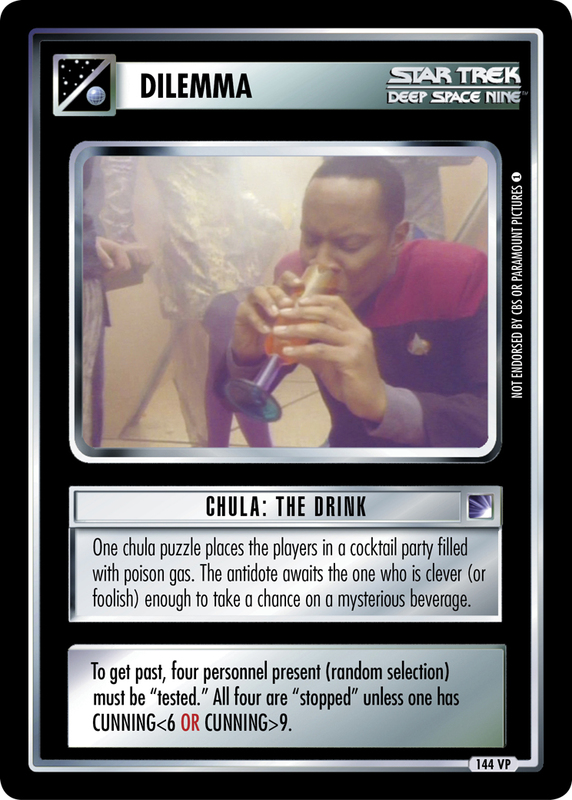 One chula puzzle places the players in a cocktail party filled with poison gas. The antidote awaits the one who is clever (or foolish) enough to take a chance on a mysterious beverage. To get past, four personnel present (random selection) must be "tested." All four are "stopped" unless one has CUNNING<6 OR CUNNING>9.